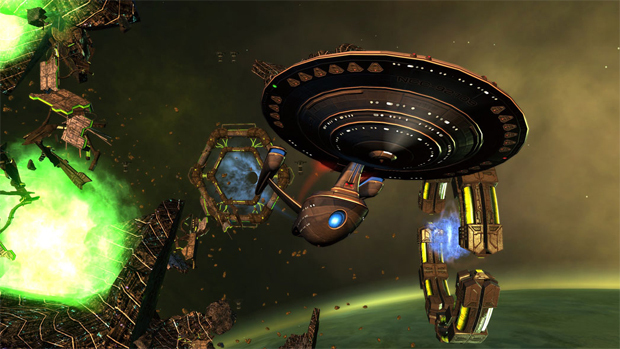 Surprising approximately no one, Star Trek Online announced last year that it was making the jump to free-to-play. Players with a current or past subscription have had access to the new model since January 5th, while everyone else will have to wait until the 17th. If you're curious what the difference is between the free-to-play players (Silver) and those who continue to shell out the money (Gold), Cryptic has laid it all out for you in this convenient chart. You can also follow any news updates about the new model on the official website's blog. I'm not big into Star Trek, but I sure do love trying new MMOs for the price of nothing so I'm sure I'll give it a shot eventually. I truly feel bad for those players who paid for the lifetime subscription though, since it seems much of that money is now going to waste. I can only hope there isn't a poor soul out there who bought lifetime subs to both Champions Online and Star Trek Universe.